Nest box is all set up now it's so big, I never knew you could get a cuttlebone and mineral block combined and I also got rice sticks Loki loves them and it has vitamin D3 and protein.They both seem very interested and are now having a nap near it.I have wanted to breed since last Summer but wanted to wait until they were a little older and they are both 2 years old now and I think it was worth the wait and I got more time for researching and making sure I have everything.The chicks will be Parent raised but incase any chicks get abandoned I will everything needed to raise them myself and ask my Uncles cousin who owns the Bird Jungle to show me how to hand feed. Please please please let me ask you to adopt instead- you already have four birds on your hands, if you really are wanting to add more to your flock, there are already to many birds out there in need of a new loving home. And if your were planning on selling or giving away the chicks- there is again already to many birds out there in need of a home, the world dosent need another person bringing parrots into the world where there are so few available homes, some of which will end up giving away the parrot anyway. I beleive most breeders are just in it for the joy of creating new life or money/for their own satisfaction- beleive me you will be so much more satisfied saving birds than creating them, and if you are breeding for the pocket money, teils arent worth much on the market anyway, (20-70$) and with all breeding equipment+ feeding untill fully weaned+ if you cant find a home, you wont even get you moneys worth. 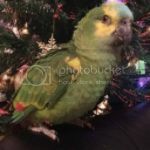 I am 1000% against breeding parrots as there are to many who are needing a new home, If I could change one thing in the world of parrots it would be to stop people breeding for 5+ years so all the abandoned could get a home. Dont take this personally, I doubt you want to hear this. And obviosly breeders can still be nice people people. But IMO they are only people people, not bird people, otherwise they would see the problem and not breed. Chantilly wrote: Please please please let me ask you to adopt instead- you already have four birds on your hands, if you really are wanting to add more to your flock, there are already to many birds out there in need of a new loving home. Actually there are not many Parrots in Ireland and not many Cockatiel breeders.Most people here own horses than Parrots lol.I understand that in America and some other countries there are many rescues and lots of Parrots needing homes but thats not the case here and if it was I would adopt not breed 100% I would love to volunteer at a Rescue but theres none here. So are you going to keep chicks, or sell? Chantilly wrote: So are you going to keep chicks, or sell? I want to keep 1 and one of my friends wants one and has wanted one since last year and then ill sell the rest.The babies will be harness trained too a lot of work will go into these babies and ill have them for a long time before they go to new homes so that will be fun. This is a big mistake. You simply do not know enough about birds to be breeding them (not that I think that even people who do know should be doing it!). Pajarita wrote: This is a big mistake. You simply do not know enough about birds to be breeding them (not that I think that even people who do know should be doing it!). Hmm because you know so much about me, I know a lot about birds and breeding and if people wanna do it they can and if nobody did breed nobody could get a Parrot lol. A little advice for you Pajarita if you don't like a thread dont comment on it just simply move on. Have you tried to find parrots in need of a new home in Ireland instead? I still disagree that you should breed, if there are not many parrots in Ireland that is a good thing atleast the birds are not suffering from to few homes, if everyone there with a parrot were to breed, overpopulation in parrots would happen there too. Breeding will only lead to suffering. Not to mention everything that could go wrong in breeding, hatching and raising. Just please reconsider Brandon. And if you are raising these chicks and then once you have trained them all and sold them, how hard will it be to let them go (Very) and who knows wether or not they will end up in a good home, or if they will end up rejected and abused: If you must bread for this reason atleast, swap all the eggs but two around for dummie eggs- or if you wanted you could shake all but two - or freeze them, thaw and return to nest. And please tell me why you want to breed- you did not answer me this question. I am not going to say that Pajarita could not have made her reply in a better manner, because I do think that she could have been more tactful, but with 14 months of postings from you, there is ample evidence to support her statement that you don't have the knowledge or the experience to start breeding your birds. This is further backed up by your recent statement that you need to get your Uncle's cousin to teach you how to hand feed the birds. This does not mean that you have not stepped up your studies of parrots as was discussed by you and I privately a while back. So even if I concede that you have increased your knowledge sufficiently to know what will be required of you if you continue with this plan to breed, I am some what doubtful that you have had the time to make this knowledge your own through hands on experience. Before you begin any breeding program, I think that it would be better to work with/ for a breeder so that using the knowledge becomes almost second nature to you as there will be times that you will not have time to look up or start calling around to find the information required to save your baby birds lives. Although I applaud you for your efforts to gain this degree of knowledge about your parrots, it is not because I think that you should start breeding your birds. It is because I think that every person who has a parrot should have this degree of knowledge concerning their birds. For you just now, I really am doubtful that you are fully prepared for this venture and that actually concludes my assessment of your current level of knowledge and skills pertaining to breeding, and I admit that my assessment may not be entirely accurate, but I do not believe that it is very far off either. In a general note, I am currently against the continued breeding of these birds until such time as we stop destroying their natural habitats, stop at least the majority of the illegal bird trade and poaching and most importantly until we come up with a viable way to deal with the overpowering glut of parrots that are currently being shuffled around like so much unwanted baggage on sites such as Craig's list and similar places as well as all of the birds that are being consigned to bird sanctuaries and rescues. There may come a time after these issues are effectively dealt with that the breeding of parrots, properly regulated, may become the best way to insure both enough parrots for people who actually want one or two or it may even be the key to keep them from becoming extinct, but I don't see that being the case at this point in time. I am not trying to either encourage you to breed your parrots, nor am I trying to discourage you from it. I am asking that you perhaps reevaluate your decision based on your actual knowledge and skill sets. And other than that I am just sharing my views about parrot breeding as a whole. Regardless of your choice and whether it is to continue with this plan or not, I am still hoping for only the best for both you and your birds.